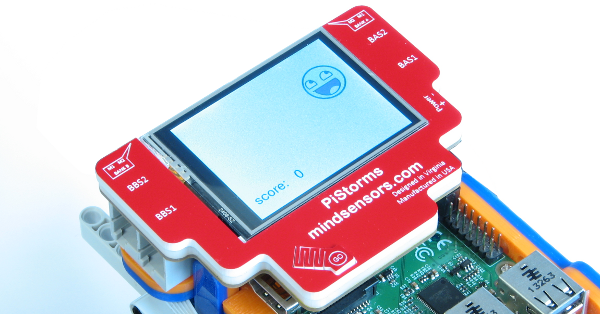 The PiStorms board has four sensor ports and four motor ports. As shown below. The NXTMMX has two motor ports, a sensor port, and the NXT port. As shown below. 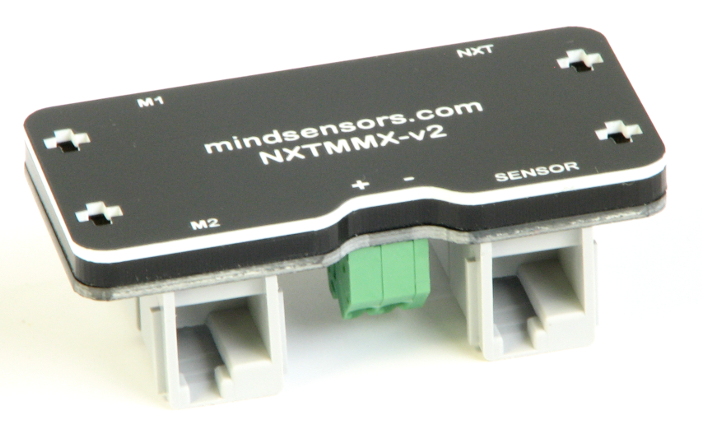 Connecting a NXTMMX to the 1 out of 4, PiStorms sensor ports gives us full access to the NNXTMMX. This would include the two motor ports and the sensor port. Since there are four sensor ports on the PiStorms we can connect four NXTMMX to each one. First using an NXT cable you must connect the NXT port on the, NXTMMX to any sensor port on the PiStorms. Now you need a power supply for the NXTMMX. The NXTMMX requires a 9 volt power supply, so a 6AA battery pack should do the trick. you must call the appropriate functions . If you have already installed the Pistorms software, you can call by using this command at the beginning of your python program. This allows you to use all of the commands for the MMX in the mindsensors.py API, for example. You can download the example python program used HERE.